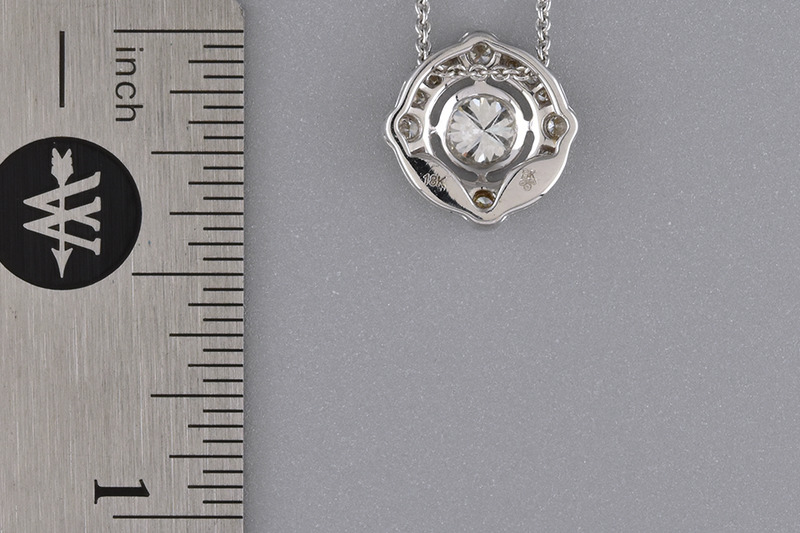 Subtle designs worn everyday need to have a unique design. 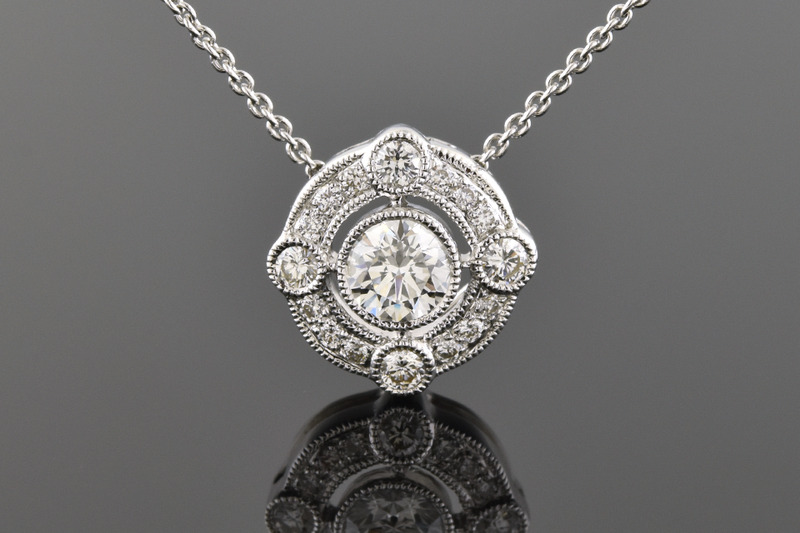 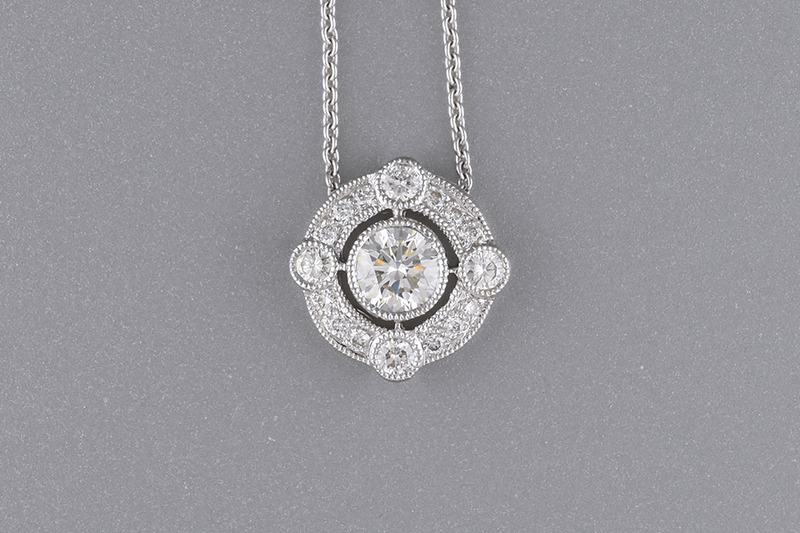 This deco style diamond pendant by Beverley K holds .45 ctw. 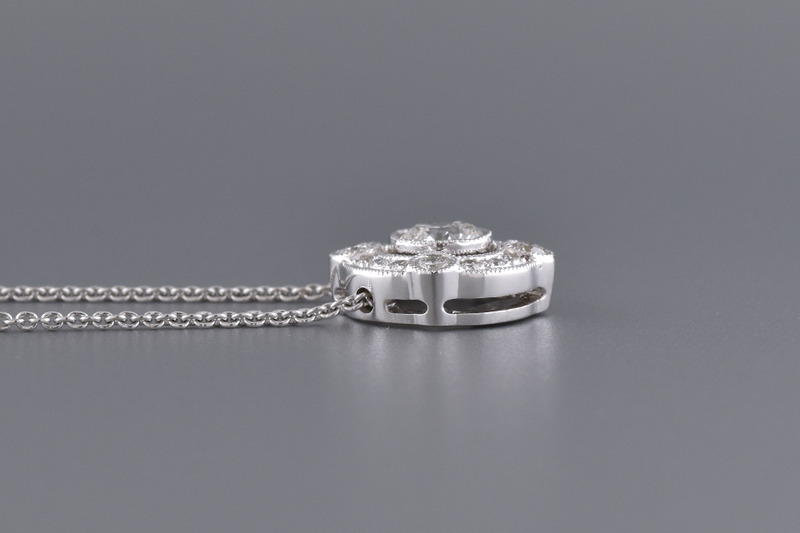 of diamonds all set in 18K white gold.